Peppa Pig's playgroup is having a pumpkin contest. Grandpa Pig helps Peppa grow a giant pumpkin in his greenhouse -- but the pumpkin is so big, they can't even move it! 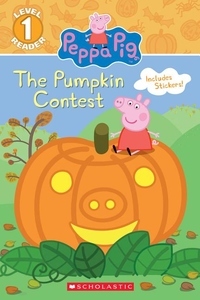 Will Peppa and her pumpkin make it to the contest in time?